Woohoo! Yes, you saw the title right! How exciting, that Benefit Cosmetics is now live on our online beauty store, Luxola, right?! 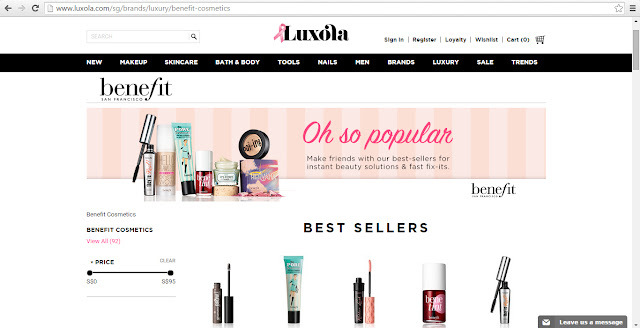 You can finally shop for your favourite Benefit products in the comfort of your own home, anytime, anywhere, online! 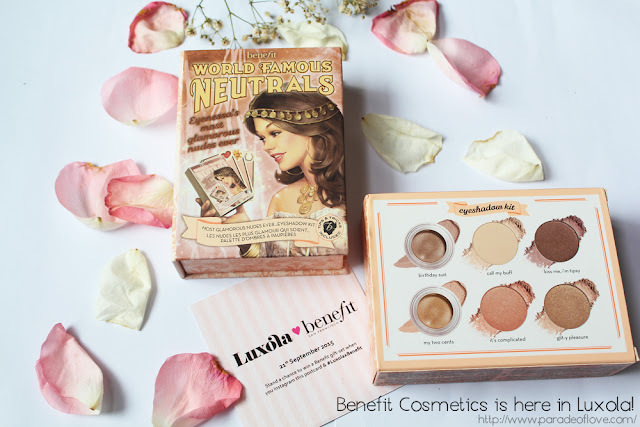 I must say that Luxola is my favourite online beauty store because it’s constantly bringing in more brands, increasing the ease of purchasing my favourite brands online with products delivered to my doorstep! I have with me one of Benefit’s bestselling kit, sent to me right from Luxola’s warehouse! You can always enjoy free delivery for purchases over S$40. 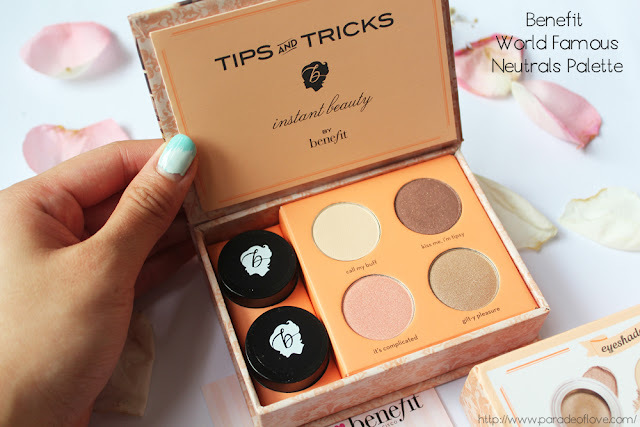 Anyway, the kit is none other than the World Famous Neutrals – Most Glamorous Nudes Ever, an eyeshadow kit for your everyday simple makeup! The eyeshadow kit consists of four rich, illuminating pressed eyeshadows that ensure seamless layering and blending; and two creaseless cream shadows as eye bases. With these universally flattering shades, achieve a natural glamour for both day and night! There’s even a “Tips and Tricks” mini booklet for you to follow step-by-step. 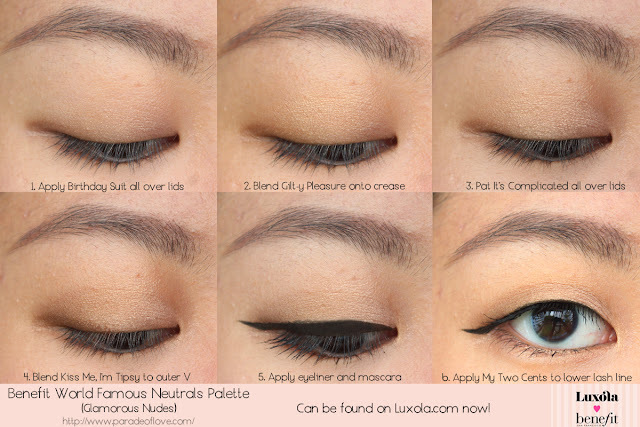 Here’s how I worked the colours for a lunch date. 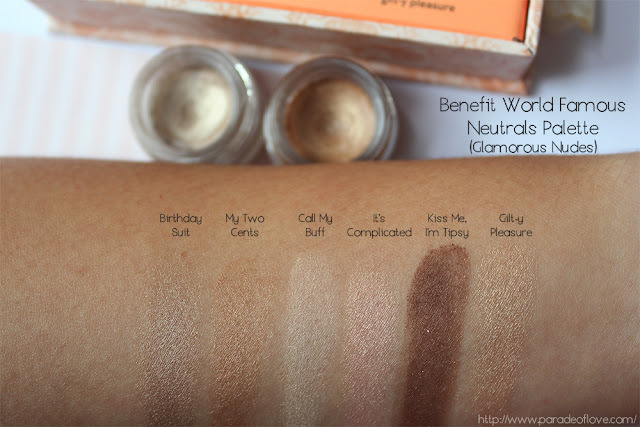 The colours blend a lot into my skin so you really have to observe to see the shades properly. You can kind of see the final eye look better here with the full face captured! 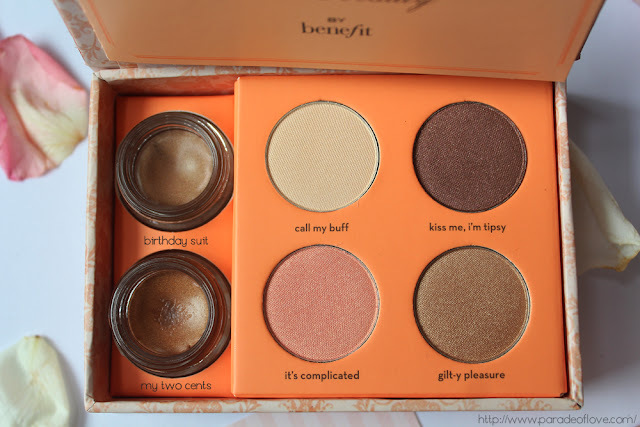 🙂 I’m still stoked that I can now find Benefit products, especially their bestsellers on Luxola’s site because I’ve been eyeing on a couple of blushers! Getting your wishlist plus earning points for future redemption of cash vouchers, what more can you ask for? Shop here now! 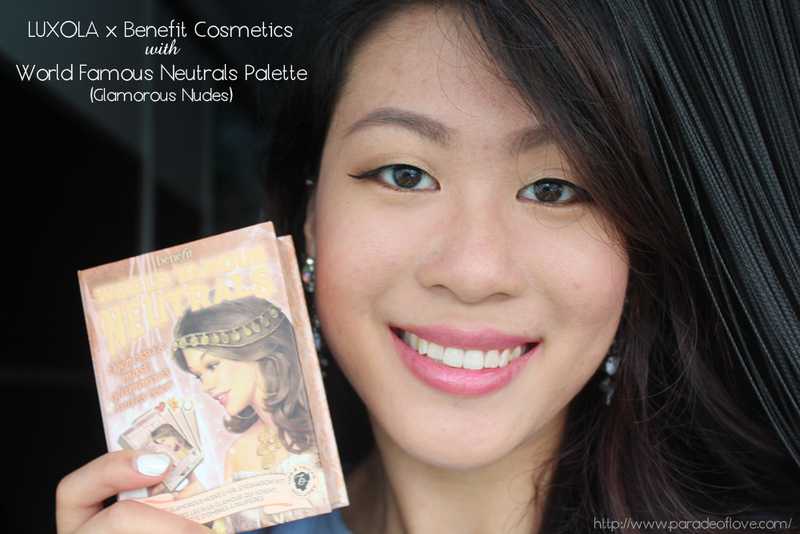 Disclaimer: Product was provided by Luxola x Benefit Cosmetics Singapore for consideration. The above review is based on my true and honest opinion without influence from others. It also contains information from the brands. I am not compensated by/affiliated with the brand.